The City of London has apparently decided to bin the whole idea of trashcans that monitored the smartphones of pedestrians. 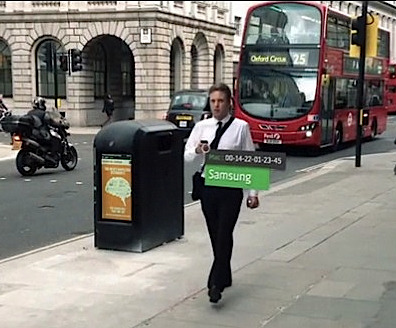 Renew, the London-based marketing firm behind the smart trash cans, bills the Wi-Fi tracking as being "like Internet cookies in the real world" (see the promotional video below). In a press release, it boasts of the data-collection prowess of the cans' embedded Renew "ORB" technology, which captures the unique media access control (MAC) address of smartphones that belong to passersby. During a one-week period in June, just 12 cans, or about 10 percent of the company's fleet, tracked more than 4 million devices and allowed company marketers to map the "footfall" of their owners within a 4-minute walking distance to various stores. Science fiction writers prefer that trashcans be more obedient - especially if they are listening to you. The can intoned. "Galveston appreciates good citizenship. Would you like to register for a valuable cash prize?"